4K, curved panels, quantum dots, and HDR: Do the latest LCD TV technologies really make a difference? We're here to separate the good from the gimmicks. If you’re reading this on your phone and have only a few seconds before confronting a salesman, the short answers to the questions posed in this article’s headline are: 4K UHD will be great when content arrives, curves are largely a matter of taste, quantum dots are great but expensive, and you really want HDR. Now, if you have a wee bit more time and want to know why we think that way, here’s the low-down on the recent developments in LCD TV technology. 4K UHD, aka 2160p (UHD/Ultra High Definition is the real name) is by far the most publicized improvement in display technology. It looks good. But aside from some nice 1080p upscaling and that “retina effect” (smooth images, as in you can’t distinguish pixels), it’s not going to do you a lot of good at the moment. Content is nonexistent over the air and scarce on cable and satellite TV. Streaming the stuff that is available (and isn’t just upscaled 1080p) requires a very fast broadband connection (Netflix recommends a pipe that can delivery 25Mbps consistently). The content will arrive eventually, and given the relatively small premium you’ll pay to acquire a 4K UHD TV versus a 1080p model, you’d be foolish not to opt for it. Especially if the TV is going to be your main viewing platform. Not to mention that it’s going to be hard to find a good 1080p TV pretty soon. Going 4K/UHD/2160p will save you the expense of another upgrade and subtract one TV from the techno-trash pile. Curved TVs are a gray area. The most oft-quoted advantage of a curved display is “a greater sense of immersion”. Possibly. There is a somewhat pleasant impingement on your peripheral vision when you sit centered at about the proper viewing distance (1.5 times the quoted diagonal size of the display). But so far, no one I know is calling it a must-have experience. In fact, sitting off-center was described by some of my fellow IDG-ites as annoying. I’ve heard a salesman say that a curved TV was better for a large room and crowds. Err…. The overall viewing field is narrower, and when viewed from moderately off-center, the picture quality, while clearer on the far side, is worse on the near side. Call that argument busted. 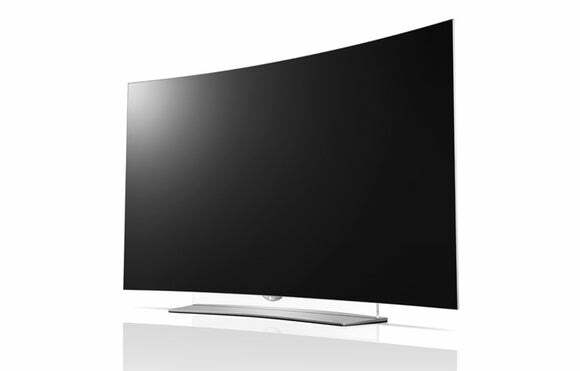 Additionally, curved TVs are somewhat thicker and heavier, as well as around twice as deep as the non-arced equivalent. If you’re using your TV with the stand, no biggie. If you’re looking to mount it on the wall—be aware of the greater bulk. Curved TVs are said to give the viewer a greater sense of immersion. If you’re watching from a position dead center in the middle of its width, that might be true. We’re just going to call it a matter of taste. All arguments aside, it’s really a matter of preference. There is something aesthetically pleasing about the curve, and if you dig it, by all means indulge yourself. But there is no technically compelling reason to buy one, and there are a couple of disadvantages. We give quantum dots a qualified buy recommendation. When implemented correctly, as Samsung and Vizio have done to date, quantum dots improve color acuity and saturation to a remarkable degree. We’re issuing only a qualified recommendation here because we’ve seen some poor implementations in the computer display market. Similar issues might show up in the lower end of the TV market some day. Trust your eyes. Also, other vendors have measurably improved their color quite a lot by mixing colored LEDs and phosphors. To my eyes, none measure up to the quantum dot standard, but the color is a heck of a lot better than the average low-end white backlight LED TV that I’m using as my baseline for comparison. 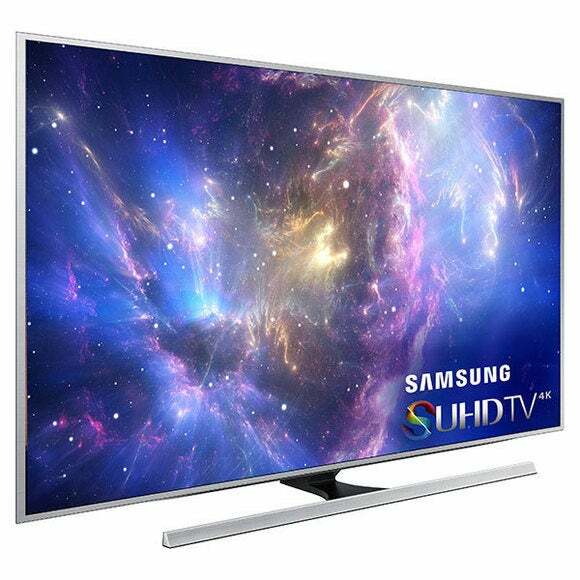 Samsung’s SUHD series TVs feature quantum dot technology which provides significantly more accurate and saturated colors. Quantum dot technology is said to be relatively inexpensive; unfortunately, vendors have so far employed it only in their premium lines. All things being equal, we’d still for it. HDR is arguably a more important and impressive technological development than 2160p resolution. It goes a very long way towards banishing the weak contrast and grayish blacks that have plagued LCD TVs since LEDs replaced CCFLs for backlighting. HDR requires video to encoded for it; so like 2160p, it’s currently a future-proofing feature. Finally, it’s not really a technology, per se, but a specification calling for brighter brights and darker darks. How that’s achieved is largely up to the vendor, but methodologies include high-contrast (less leaky) LCD tech, and brighter, higher-density LED-backlight arrays. Every HDR demo I’ve seen has impressed me. Everything else, outside of OLED, looks anemic by comparison. Dolby Vision is the most recognizable HDR, but there are other implementations, mainly HDR10. That may be an issue if content isn't delivered in both standards, which differ though each is based on SMPTE ST-2084. The only thing we can tell you for sure at this point is that Dolby Vision can play HDR10, but not vice versa. Whatever the brand name, it’s a feature you want. If you can’t afford it now, wait until you can. And perhaps wait until the format issue becomes clearer. Here’s another story you might want to read: Curious about HDR? Here’s everything you need to know. Curved display? Buy one if you really want one, but 4K UHD should be at the very top of your list when comparing spec sheets. Quantum dots and other color-improvement technologies, plus HDR, are converging to create an LCD TV picture that’s far superior to anything that has preceded it. I’m talking real competition for OLED quality—without the OLED price tag. You can get some of this stuff today with a reasonable budget. Vizio's P-Series smart TVs, for instance, come with Dolby Vision HDR and improved color (though not via quantum-dot tech), at prices starting at $1000 for a 50-incher. That’s cheaper than you might expect, though not exactly inexpensive. Samsung’s SUHD and Sony’s HDR D models cost more, but deliver very impressive pictures. I can safely say that if you’ve got the cash, you can get into the new era without too high a risk of developing buyer’s remorse. HDR format issues excluded. But if you want to save money, and have no compelling reason to upgrade or replace your TV, wait a year or two. Especially if you have a nice CCFL, which is what I’m still rocking. Yes, the new tech is so much better than the old, but a little patience will take you a long way towards the TV of your dreams. Besides, the content hasn’t quite caught up yet anyway. Note: The HDR discussion was edited on 5/13/2016 to reflect more granular information garnered concerning the industry implementations of that technology.